With over twelve million copies in print worldwide since it was originally published in 1959, Man’s Search for Meaning, by Viktor Frankl, has become a psychological and spiritual classic. In it, Frankl recounts his experiences during three years in Auschwitz and several other Nazi concentration camps. And yet, as its title suggests, the message of Man’s Search for Meaning is not one of horror and despair, but one of meaning and of hope for humanity. 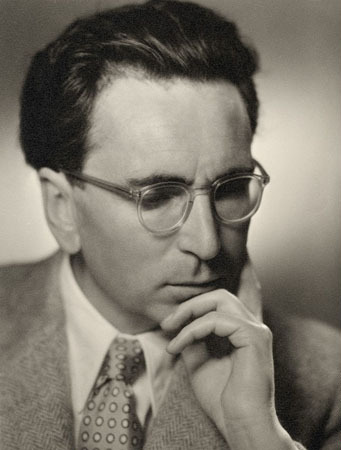 Instead of surrendering to hopelessness as many imprisoned victims of the Nazi regime did, Frankl viewed the horrors of the camps with a trained psychiatrist’s eye. In doing so, he found vindication for his view that the beauty and power of humanity is our ability to rise above even the worst suffering, and become greater than any barbarism that might be inflicted upon us. These three paths to meaning in Frankl’s existential system of psychotherapy (which he named “logotherapy”) are harmonious with similar elements of the path of spiritual rebirth or “regeneration” described by Emanuel Swedenborg (1688–1772) two centuries earlier. In Part 1 of this article we’ll look at finding meaning by creating a work or doing a deed. Frankl took it as self-evident that creating some work or doing some deed gives meaning to our lives. Across many disciplines—art, business, science, philosophy, practical trades, and so on—if we can produce some tangible physical or intellectual accomplishment that expresses our skills and abilities, this gives us a sense of satisfaction and meaning in life. Nothing is fully real until it is expressed in physical, tangible form. Inner, spiritual things achieve their greatest power when expressed physically. Our inner, spiritual self is opened up and developed through outward expression. Let’s look at each one of these in turn. Frankl and Swedenborg agree that the distinguishing characteristic of human beings is our spiritual component. Though Frankl generally had a more philosophical view of “spirit” and Swedenborg a more religious one, both would say that our most real and human aspect is the love and understanding that forms our mind or spirit. This is what makes us truly human. And the world of our thoughts and feelings is the one that we inhabit most intensely and deeply. And yet . . . if our thoughts and feelings have no means of expression, they also lack a certain sense of reality. It is not enough for us to simply feel strong feelings and think enlightened thoughts. We humans have an innate drive to express those thoughts and feelings through our words and actions, and in our relationships with our environment and our fellow human beings. Consider an architect who imagines grand structures, or intimate structures, or sacred structures. Is the architect satisfied merely to conceive, imagine, and draw plans for these structures? Doesn’t the architect want to see them built in stone, brick, wood, steel, concrete, polymer, and glass? Doesn’t the architect want to see those structures inhabiting the urban, suburban, or rural landscape? Doesn’t the architect want to see people inhabiting those structures and experiencing their distinctive lines and spaces? If none of the architect’s beautiful, powerful, and functional structures are ever actually built, where is the sense of completion and satisfaction? Though it is the human mind and spirit that conceives, plans, and directs the work we do, it is in the physical expression of those ideas, desires, and plans that our thoughts and feelings achieve their full reality. Expressing our thoughts and feelings in physical or written form puts a foundation underneath elements of our spirit that would otherwise be mere castles in the air. Back to the example of architecture, which has the greatest power to affect our mind and spirit? Seing the Taj Mahal itself. 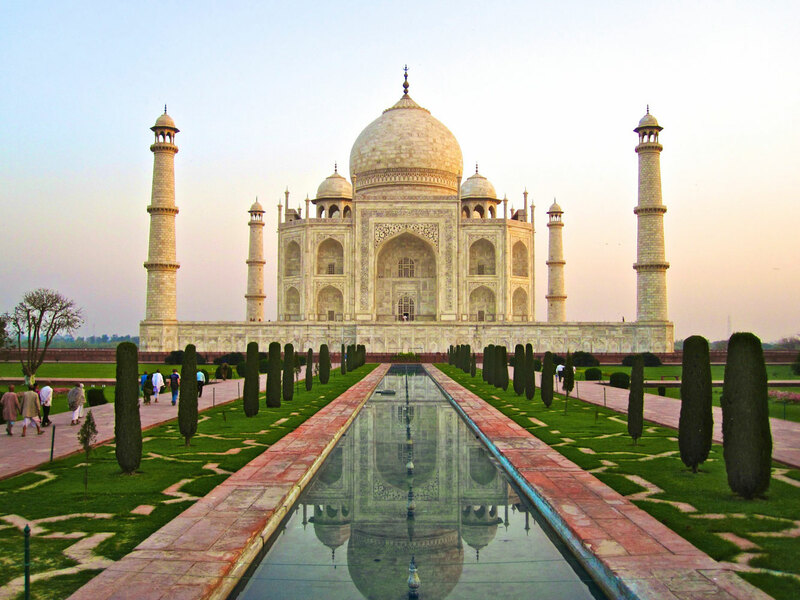 Obviously, the actual Taj Mahal is far more powerful and inspiring than even the most detailed architectural drawings. That’s because it is only in the full physical expression that our loves and conceptions achieve their full power. When we wish to see particular countries and landscapes, are we satisfied with merely studying the map and looking at pictures? Don’t we want to go there in person, and experience their full reality with our own senses? Or consider the human body and mind. We may have great thoughts and great desires, and we may ponder them in our mind. But how do we put them into action? How can they affect others, and bring us into relationship with others? The human mind and brain are incredible instruments. And yet, it is the human lips that express our thoughts in spoken words so others can hear them, and it is the human arms and hands that express our desires and ideas in practical, concrete form. Yes, we can hug another person with our mind. But it achieves its full power only when we also hug them with our arms. It is in physical expression that what we think and love achieve real power. It is in the actual, physical building that the inspiring conception of the architect affects the spirit, the mind, and the everyday life of those who use and inhabit the architect’s creation. It is in the verbal and physical expressions of love and affection that others know and experience what we feel toward them. Though power comes from the human mind and spirit, it achieves its full effect only when it is expressed through the human body. As we’ll explore in a future article, reality and experience always flow from the inner spirit to the body, and not the reverse—as counterintuitive as that may seem at first. And yet, without physical expression, the spirit remains undeveloped and unfulfilled. A building never starts from bricks and mortar. It starts from an idea and a plan in the mind of a builder and an architect. The bricks and mortar are ordered and put in place pursuant to that idea and plan. And yet, builders and architects whose plans never get beyond the drawing board lack the real-world experience of seeing what happens when their plans are actually carried out. What may look good on paper doesn’t always work out in reality. Turning plans into physical reality not only gives them their full reality and power, but also provides an essential reality check on their actual quality, practicality, and usefulness. This is so in all other areas of life, too. For example, we may think that we would be ideally suited for some particular job, such as an airline pilot. However, if we never actually go to flight school and get into the cockpit of a plane, how will we know? Perhaps flying airplanes just isn’t what we’re built for. In trying out our ideas through real-life experience, we learn what directions our mind and spirit do and don’t lean. And in pursuing those directions that do excite us and give us a sense of satisfaction and accomplishment, we develop through outward expression the goals and desires that we feel in our spirit. It is always the spirit from which our actions flow. But in the act of expressing itself physically, the spirit learns and grows in its own nature. This brings us full circle to Victor Frankl’s statement that we can find meaning in our life by creating a work or doing a deed. In our actions and in our tangible creations, our spirit finds its expression, its power, and its path toward further development. And if, as both Frankl and Swedenborg assure us, we are beings of love, and love is the fundamental reality of the human spirit, then in expressing our love through our thoughts, ideas, and actions, we find the fulfillment of our very being. In other words, through creating works and doing deeds, we express something of our true self, and develop into the human being that we can become. And if there is any meaning to our existence, then surely it comes into being through expressing our true nature. Perhaps the things we are creating and the deeds we are doing right now are not the ultimate expression of our truest and deepest self. And yet, by putting our full self into the lesser work in front of us at the moment, we develop our spirit and our capabilities toward greater accomplishments that can more fully express our true self. Another, more existential way of saying this is that our true self does not come into being or reality unless and until we express it in definite, practical, and unique ways. That is the power of creating a work and doing a deed. It is the power to develop ourselves and make ourselves fully real. Thanks for stopping by! I’m glad you enjoyed it.